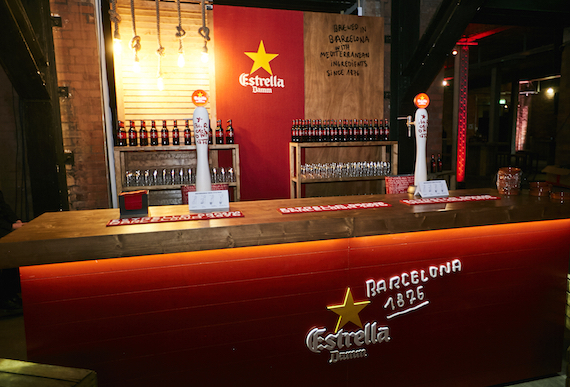 Drinks International joined Roca at the Estrella Damm Gastronomy Congress in Manchester last week, where he announced the release of Estrella’s first food and drink trends report. The 12-page reports details the latest trends within the restaurant business and although Roca does not use beer in his own cooking, he believes that its pairing ability can play a big role for the category. Roca has represented Estrella for five years around the world and he stocks it in his restaurant, El Celler de Can Roca. The Estrella Damm Gastronomy Congress has previously taken place in Miami, Lisbon, Melbourne, London and Edinburgh and below is a summary of the findings from its first trends report. Roca worked with Brand Positive to provide insight into the emergence of five key areas, resulting in the production of the trends report for this spring/summer. Food waste is high on the consumer agenda, leading operators to offer ‘root-to-stem’, ‘nose to tail’ and ‘pollen to petal’ menus, which use all parts of the plant or animal, such as celery root, beet leaves, glamorous offal and whole cods-heads. Consumers are looking for healthier, sustainable diets and are turning to plant-based produce, such as nut and plant ‘mylk’, plant-proteins and unconventional sources of mushrooms, root vegetables and algae.